Kids’ CBC, Season One premiere of Scout & The Gumboot Kids, an animated, live-action series that encourages preschool-aged children and their families to mindfully discover the wonders of nature. Designed to be a bridge between the family room and the outdoors, Scout & The Gumboot Kids invites children to go outside, engage all of their senses and explore the natural world in a mindful way. The series is endorsed by the David Suzuki Foundation and the UCLA Global Media Center for Social Impact. 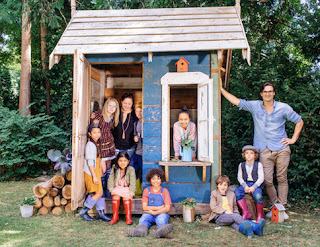 Created by wife and husband team, Tara Hungerford and Eric Hogan (who reside in Vancouver), inspired by raising their two young children in an urban environment, Scout & The Gumboot Kids was developed out of a strong desire to help families connect with nature, and each other, in an open and non-judgemental way. Mixing live-action, CGI animation and traditional stop-motion animation, the Vancouver-filmed Scout & The Gumboots Kids has a tactile, artistic and visually rich take on the natural world, with lively, original music by Juno Award winning singer-songwriter Jessie Farrell. This new children’s television program Scout The Gumboot Kids, Launching October 19 on Kids’ CBC. 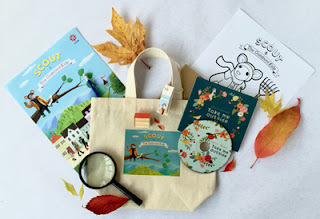 Enter to win Scout & The Gumboot Kids swag bag giveaway. Enter at www.urbanbaby.ca. Good Luck!